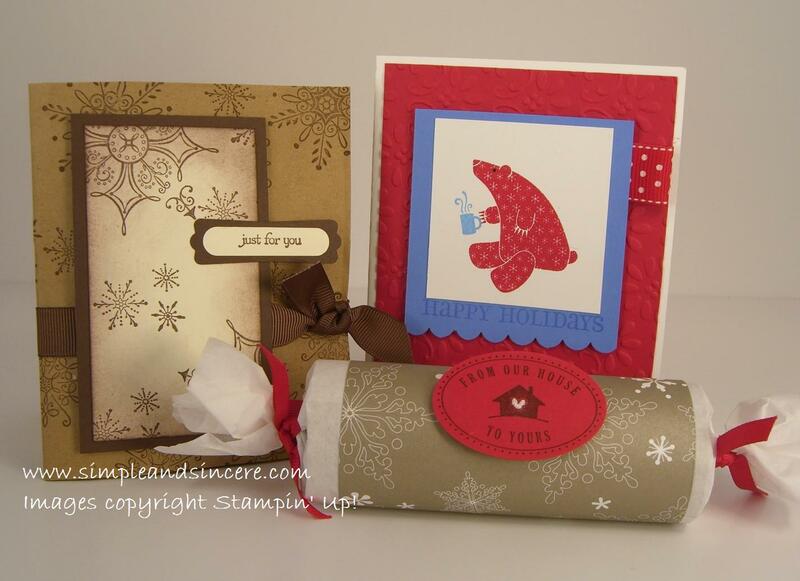 Here's a little peak at the projects we made at this month's Mom & Me Stamping class (formerly known as Mother/Daughter Stamping - we thought we should change the name so the boys out there who like to stamp know that they are welcome to join us, too!). This month's projects were put together by my upline, Karla Anders. We made an adorable little hot cocoa gift packet out of a brown paper bag, a candy tube (made out of an empty toilet paper roll), and a cute lil' Christmas card, using the Cold & Cuddly stamp set. We had lots of fun! If you live in the Madison area and would like to join us, check out my calendar on the right for our next class times in January.